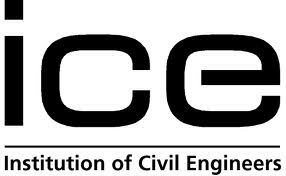 I am being asked more and more to assist in calculations for structural openings in domestic properties across Cumbria. 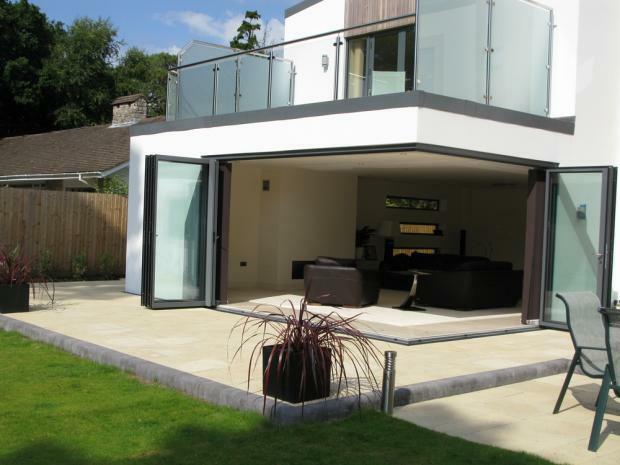 The creation of internal and external openings, may be required to have building regulations approval, but in some cases, the openings may not be structural. For an opening to be deemed structural, the following criteria is the norm. So creating a structural opening is not a job for the average DIY’er. Principally, the concern is to support the existing structure whilst the opening is being made and new supports introduced. In historic properties, the concern may be for the remaining wall used to support the new opening and ensuring it is up for the job in supporting any steelwork which may be introduced to create the opening. You can imagine that propping the existing structure, and getting the new steelwork into place is not a job for the feint hearted. A typical cost for a large 2.5m to 3m can range from £1500 for the materials needed to £5000 depending what services such as electricity and water pipes need shifting. Generally steelwork is used as this is the simplest and easiest solution, providing strength and stability in the smallest package. We have seen historic properties which have adopted timber and these are more prone to water damage over time and will also require a far larger section than a steel solution. Generally most beams will require a degree of fabrication, and in the example above, connections for the other steel beams have been added at a workshop and the beams have been treated with a combined primer/fire retardant paint. 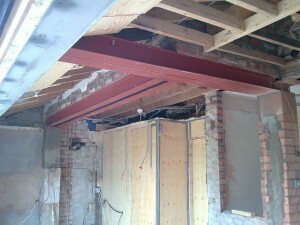 The photograph above also indicates the supporting arrangements for the beams. These are generally referred to as Pad Stones. These are either precast or pretensioned concrete slabs or blocks which the steel beam can be bedded on. These are available in a variety of sizes and generally specified alongside the steel beam for the loads placed upon it. We have also seen a rise in the number of external opening wanting to be creating, principally driven by the TV home shows like Grand Designs. Large external openings, in particular around corners require a significant amount of structure to be introduced to create the opening. Also if this is an existing house or property, some significant loads above the opening can be experienced and require careful consideration. If in doubt, speak to a reputable builder who can advise and assist you in your project.